The Magicka Nightblade PvP Build „Bomb” is optimized for Cyrodiil. The build is used to blow up tightly stacked groups, for example on flags on an outpost or in a keep. The more people the better! The chances are high that you also kill yourself, but after all you will gain a lot of AP. To make this work we are stacking a lot of offensive sets like Balorgh, which is a new set that drops in one of the Wolfhunter DLC Dungeons that adds an insane amount of Spell and Weapon Damage to you, with the right modifiers you can gain over 1200+ Spell Damage from that set alone, which is crazy. The second set is the all famous bomber set Vicious Death which makes people explode once they die, causing a huge chain reaction, especially vicious on stacked enemies! The last set we use is Spinner's Garments to amp up our damage further. All together we are getting around 5600 Spell Damage along with over 46k Magicka and the Spinner’s Garments extra Spell Penetration as you will see in the character sheet picture below. We use Dual Wield because it results in more overall Spell Damage for the build. Added the option for infused trait on jewelry to increase damage a bit, other than that no changes to this build for the Wrathstone DLC. Resource management can be tough, but with the Maelstrom Restoration Staff and Siphoning Attacks you can deal with it. 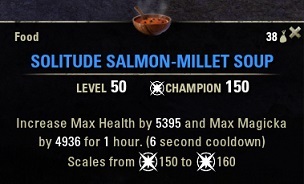 I usually run normal Max Health Max Magicka food. However, you can aso go with Clockwork Citrus Filet (or Witchmother’s Potent Brew) of you struggle with sustain. Other than that, you can also use potions to fill up your magicka. Spellpower Potion, Weapon Damage Enchantment, Cloak and Balorgh were active when I took the screenshot. 5 Spinner’s, 5 Vicious, 2 Balorgh. Balorgh: Damage also applies to the Ultimate you activated it with. Concealed Weapon: This ability is here to get increased movement speed while we are stealthed. Here you can find information about what race, buff-food, potions & poisons you want to use. I also do list all the passives that you need for this setup. You can use various Potions, I recommend running the Spell Crit Potions as you get Spellcrit, Spelldamage and Magicka. Vampire can be nice for this build thanks to Dark Stalker, because of the increased movement speed while you crouch. Be aware that you will take increased damage from fire attacks, prismatic weapon enchants and fighters guild abilities. This allows you to ignore the Movement Speed penalty while you are sneaking or invisible, which is huge because we can use Shadowy Disguise a lot and do not get the speed penalty. Damage Reduction on low health is also very helpful, especially in combination with Healing Ward which makes it really hard to kill us. 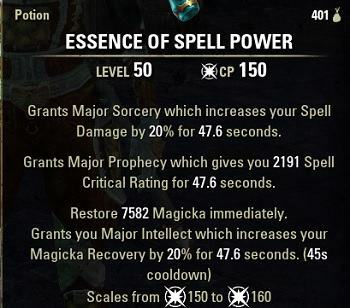 This gives us both 10% Magicka and Stamina Recovery which is a nice addition on top of the other effects.